All of our doctors are board-certified in dermatology or plastic surgery. Peter A. Klein, M.D., F.A.A.D. William D. Tutrone, M.D., F.A.A.D. Dr. Tutrone is a member of the American College of Mohs Surgery, a diplomate of the American Board of Dermatology, a Fellow of the American Academy of Dermatology, and a member of the American Society of Dermatologic Surgery. After graduating from University of Vermont College of Medicine, he joined North-Shore Manhasset Department of Medicine to complete his internship before going to the Department of Dermatology at St. Luke’s-Roosevelt Hospital in Manhattan for his dermatology residency. After finishing his residency Dr. Tutrone was accepted into the Mohs College fellowship at the University of Alabama. There he gained his expertise in Mohs surgery, dermatologic and laser surgery, and aesthetic dermatology under the instruction of Drs. Conway Huang, Marian Northington and Amy Theos. 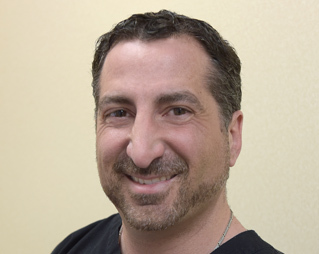 During his residency and fellowship Dr. Tutrone won multiple competitions and was awarded multiple scholarships to receive training under experts in Mohs and dermatologic surgery. He has authored over 30 articles and continues to enjoy teaching medical students.